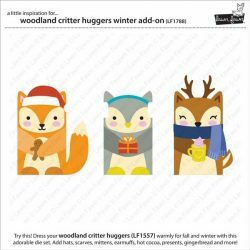 Woodland Critter Huggers Winter Add-on Lawn Cuts by Lawn Fawn. 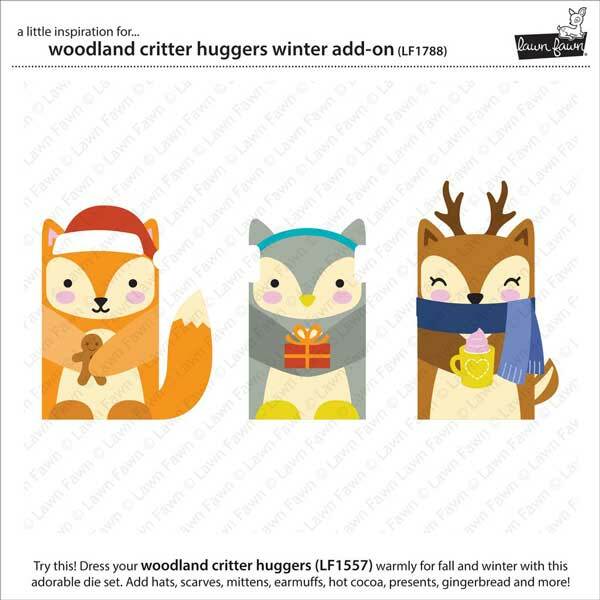 Use this add-on set with Woodland Critter Huggers to create critters dressed for the winter! This is perfect for holiday gifts like candy and gift cards! 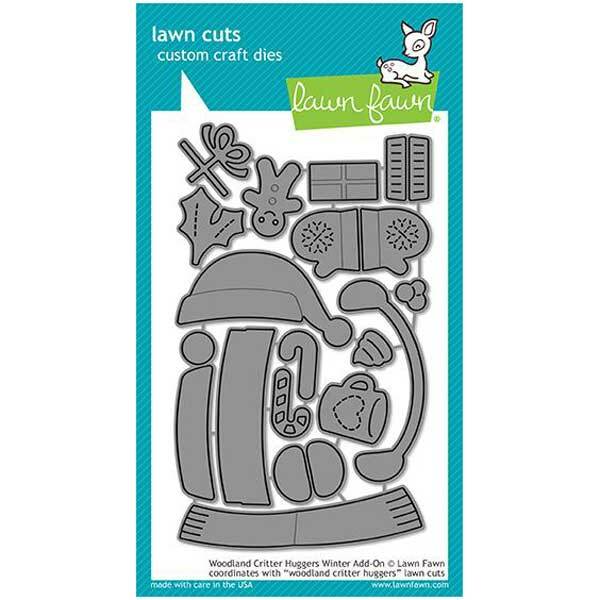 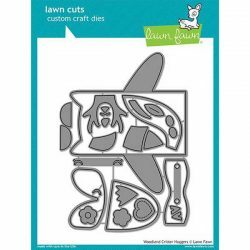 Lawn Cuts custom craft dies are high-quality steel, made in the USA, and are compatible with most die cutting machines. 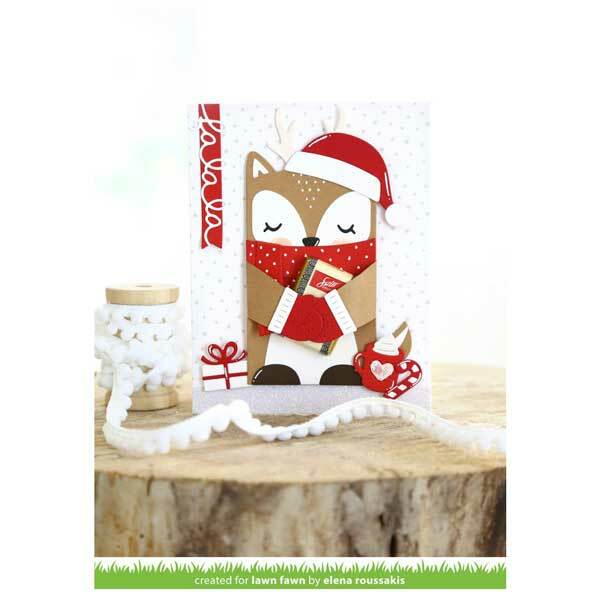 Coordinating set ideas: This set requires Woodland Critter Huggers (not included).